This is a pro-level road shoe for serious riders looking for serious performance. The Scott Road RC SL was such a high flyer, sailing to our Editors' Choice Award. It beat out the competition across many of our measures. It's the lightest among the road bike shoes we tested and still maintains enough rigidity to offer the best power transfer. As with most of the other top shoes, it uses two BOA dials, but it also uses a toe cleat to improve the adjustability and fit across the front of the shoe. It's also tough as heck, so it's a good investment for those looking to get quite a few seasons out of them. Read on to see if they're the right investment for you. We felt very lucky to be able to test these bike shoes. In terms of road performance, they couldn't be surpassed. They were super duper fast out on the crit course and climbed like no one's business (well, Scott's business, perhaps). There was never a point where we felt waste or inefficiency in the stroke, making it the best choice for days where we needed all those marginal gains and our clear Editors' Choice Award winner. Their stiffness owing to the carbon-based upper did sometimes cause a bit of discomfort when locked down for a big sprint or climb, but it was still generally comfortable. We think these are about the most pro shoes available on the market right now and we're confident in saying that they'll please most riders looking for top-level performance. Even though we're confident in these shoes, we want you to see where they stand against other top shoes on the market so you can make the judgment on what's right for you. We break them down across a handful of measures and explain where they excel and where they could use some work. Read on to see how it all shakes out. These have a bit of misdirection here. They're super comfortable when first slipping your foot in. They feel something like a stiff stocking. Their smooth sockliner makes it easy to slide your foot in and lulls you into a somewhat false sense of comfort. That change comes when you jump into the saddle and start pedaling and immediately feel the stiff upper pressing against your ankle. At first, the stiffness is pretty unforgiving and even a bit uncomfortable. It wasn't until about an hour of warming up and hitting some climbs and doing higher tempo work that the Venn diagram of rigidity-comfort became apparent. They're fairly comfortable, especially given the stiffness and power transfer they offer. They improve fit and comfort with a layer of synthetic leather called Wrap Fit. Much of the stiffness in the upper is owed to a layer of Carbitex, which has extremely high tensile strength, so it has crazy power transfer, but it's not as stiff as full carbon, so you get a more comfortable fit than models like the Mavic Cosmic Ultimate II. Stiffer models can sometimes go overboard on rigidity, especially those with immovable soles, like the Scott Road RC SLs. Their answer to that is the Power Zone design, which features a super stiff section over the forefoot with a more malleable carbon heel called the Axial Zone that allows a bit of torsional flex to reduce strain on the foot, ankle, and knee without compromising power transfer. And if that's not enough comfort, the shoes come with an assortment of insole padding and support to improve fit. The Scotts are great for quick spins, tempo work, and other high-intensity workouts, but they're less suited to relaxed riding. As we mentioned, there's a relationship between power transfer and comfort. It's typically an inverse relationship and that's the case here. Scott adds all sorts of useful design features and padding to maintain the power transfer without making you feel like you're wearing plywood boxes and they do a great job, which yet another reason why they earn our Editors' Choice Award. But there are still a few other models out there with superior comfort. Yes, it's rigid carbon, but Scott is careful to add in just the right amount of padding along with a fold-over burrito tongue to mitigate the rigidity and send you out on the road in comfort. The Louis Garneau Course Air Lite II won our Best Bang for the Buck Award with its excellent comfort and steep discount to the premium models. The Top Pick for Lightweight Racing Flat Shimano S-Phyre RC9 and Best Budget Buy Fi'zi:k R5B Uomo Boa both also had superior comfort, but none of these have the combination of power transfer, lightness, and durability. If you want something with uncompromising performance, the Scotts are the way to go. If you are looking for something with more comfort or a different price-range, consider one of the others mentioned. These are a weight weenie's dream. A pair of men's 44 come in at just 18.4 ounces or 261 grams. That's super duper light and it puts them at the very top of our group. A number of factors went into achieving such a low weight. For one, their design was super lean. There was no excess of padding or sole reinforcement. In fact, to lower the weight in their HMX carbon sole, they used a Corecell foam core while the upper was made of a strong Carbitex fiber, which the company claims is the strongest commercially available fiber. Using such a strong carbon-based material means that less of it needs to be used to achieve the stiffness and strength of other upper materials. Their HMX carbon, by the way, is claimed to be stronger and 15% lighter than conventional carbon fiber. You won't have much luck finding lighter bike shoes that give you this much performance, but there are a few alternatives that might offer different qualities that are near as light. The Best Bang for the Buck winning Louis Garneau Course Air Lite II is just a few grams heavier, not even an ounce, but it offers a good deal more comfort and might be a better shoe for training. The Top Pick for Lightweight Shimano S-Phyre RC9 SPD-SL is also an excellent choice here. It's about half an ounce heavier per pair, but it also excels in comfort and has great adjustability and visual appeal. The Scott Road RC SLs are the lightest shoes in our lineup and among the lightest on the market. Weight weenies know their choice, but the rest of us will need to consider stiffness, power transfer, and comfort. The Scotts clean up in weight, stiffness, and power transfer. Those looking for top comfort should try the Garneaus or Shimanos. This is where these road shoes really top the list. They use excellent materials in both the upper and the sole to minimize unwanted movement and energy loss, making sure every movement of your foot goes into the pedal. The Carbitex carbon fiber upper is an extremely strong fiber, claimed by Cabitex as the strongest commercially available. It's believable too. Very few uppers have felt as efficient and direct as these and those that have come close simply haven't been very comfortable. The stiff Scotts are great for laying down the pace and cranking out the power, especially at higher cadences. Scott's HMX carbon is claimed to be among the stiffest, lightest stuff out there on the commercial market and that's what it uses for its sole. Needless to say, the sole is pretty rigid and perfectly complements the upper's transference. One of the things we really liked about these was their Power Zone design. The thing with super stiff soles is that they can make the foot and ankle ache or possibly even cause damage because they direct energy into the bike and back into the body. Scott uses an uncompromisingly stiff forefoot called the Power Zone a less rigid heel called the Axial Zone that allows flexion and limits overuse strain in the body without limiting power transfer. There aren't many other shoes out there quite like these and we don't think it will be easy to find any others that have the right combination of upper and outsole power transfer. If you are after optimal power transfer, these are as good as it gets. There are a few others that beat them out in other important areas like comfort that also score well in transfer, like the Best Bang for the Buck winning Louis Garneau Course Air Lite II. It uses a super stiff Carbon Air Lite outsole and a high-density microfiber upper to land near the top of this range, but it still can't touch the Road RC SLs in transfer. The Shimano S-Phyres have a similar story. They're among the most comfortable out there, but they just don't have the seamless transfer of the Scotts. If transfer is your motivating drive, stay here. If you are more worried about comfort, take a look at one of the other two. It's pretty hard to argue with the simple dual IP-1 Boa design. They're bi-directional and allow 1mm micro-adjustment in either direction, plus the quick release. They're placed along the upper side of the shoe, within easy reach if you need to adjust mid-ride. The lower dial also has a second set of anchors across the toes with a post that allows you to double cross the lacing for added tightness over the toes. Some of the other premium models like the Shimano S-Phyre use the same design. Upper malleability is a limiting factor here. While the Scotts use a nice wrap design for their upper, it's undeniably stiff as hell, which means that no matter how much you ratchet it down, it's still going to be limited in its ability to wrap around your foot for that ideal glove-like fit. Models like the S-Phyre and Fi'zi:k R5B Uomo Boa are going to provide that. Heel tension is an area where few other models have an improvement over the standard designs. The only real option for heel tension adjustment is the Sidi Wire Vent Carbon, which was our previous Editors' Choice Award winner before the Scotts came along and offered many of the same qualities, but came in at a much lower weight. The Scott Road RC SLs (left) and Shimano S-Phyres (right) both feature the extra cleat on the toe anchor so you can easily reroute the wire for better control over the toe. Most guys will get all the adjustability they need out of these puppies, but for those wanting even more malleability might look to a less rigid model like theS-Phyre or Fi'zi:k, while those wanting even more knobs might find what they want in the Sidi Wire Vent Carbon. It's hard to argue with a carbon fiber upper and outsole. These shoes are almost entirely covered by some form of carbon fiber with only a few unprotected spots for ventilation. That means their body is extremely tough and unlikely to wear down. Even the mesh is super tough and reinforced, so it's unlikely to wear down or fray. Vulnerable areas over the toes and heel are covered by a reinforced synthetic leather layer for added protection. The only potential vulnerabilities here are in the sole's ventilation ports and in the Boa dials, which are practically universal features among high-end road bike shoes, so there's no greater risk for these than most other premium models. The only other shoes that can match these are the Sidi Wire Vent Carbon. They use a thick microfiber upper, tough stitching, a carbon fiber sole, and, contrary to the Boa trend, more protected ratchets and dials for their closure system. The Lake CX402 is also a super durable model. Its upper is comprised of K-Lite kangaroo leather, claimed to be the strongest natural leather available, while its sole uses a thick slab of carbon fiber. The Scotts cover all vulnerable areas with reinforcement. The heel can be seen here, covered by a tough layer of synthetic leather. Those looking for a nearly invincible road bike shoe will be very happy with these, but those looking for something a bit more comfortable might want to look at Sidis or maybe the Louis Garneau Course Air Lite IIs, though they really don't have the same tough upper of the Sidis or Scotts. It will be tough to find another model that matches the Scotts here. These are premium road bike shoes meant for serious riders doing high-intensity riding. They proved themselves on the hard punchy climbs and weekly crit rides. Riders looking for extra stiff shoes will like them, but they might be a bit much for lackadaisical Gran Fondos and flat LSRs. These come at a premium. -You didn't think you were going to get kickass shoes without paying for that performance, did you? 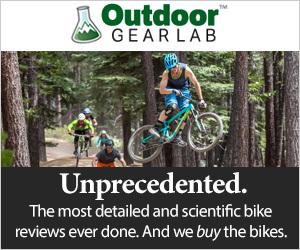 We think they're worth it for serious riders. The Scott Road RC SL won our Editors' Choice Award because it's the ideal racing shoe. It's still great for training for most riders, but it might lack the comfort of other models that would be more appealing on 4-hour base rides in the winter and early spring. It is the lightest shoe in our lineup, yet it has top power transfer and stiffness. The HMX carbon sole ensures that no power is lost when you're laying it down. Its unique Carbitex upper is one of the strongest, if not the strongest, materials on the market, but has a bit more malleability than straight carbon, so it moves with the foot a bit better, but doesn't lose much energy in the upstroke. The comfort factor of the upper is helped along by the synthetic leather Wrap Fit layer and smooth sockliner, which feels good out on the road. All in all, we don't think there are many shoes on the market that will perform at this level with these attributes; we're confident that serious riders will get a lot out of these. The Editor's Choice Scott Road RC SL is not just sleek and stunning, it's also super light, super stiff, and comfortable.